I was helping a homeschool leader apply for 501(c)(3) tax exempt status for her homeschool co-op when she mentioned that she had created a binder of important papers. That’s an excellent idea! The treasurer who is responsible for the annual reporting to the IRS and their state. The board president whose job it is to make sure everyone else is doing their jobs. All the board members are responsible for management of the nonprofit and compliance with nonprofit laws. Having a binder of important papers that leaders can to pass down future leaders will make sure the organization is managed well and in compliance with all its reporting obligations. Employer Identification Number (EIN) letter from the IRS. Articles of Incorporation from your state. This should be the official certified copy with a date stamp proving that your Articles of Incorporation were filed with your Secretary of State. Bylaws. Date them so you have the most recent copy. I highly recommend that you laminate or protect in plastic sheets these important documents. Pass these binders down to the leaders who succeed you! I’ve created a template for a board binder that you can purchase and create binders for your entire board. 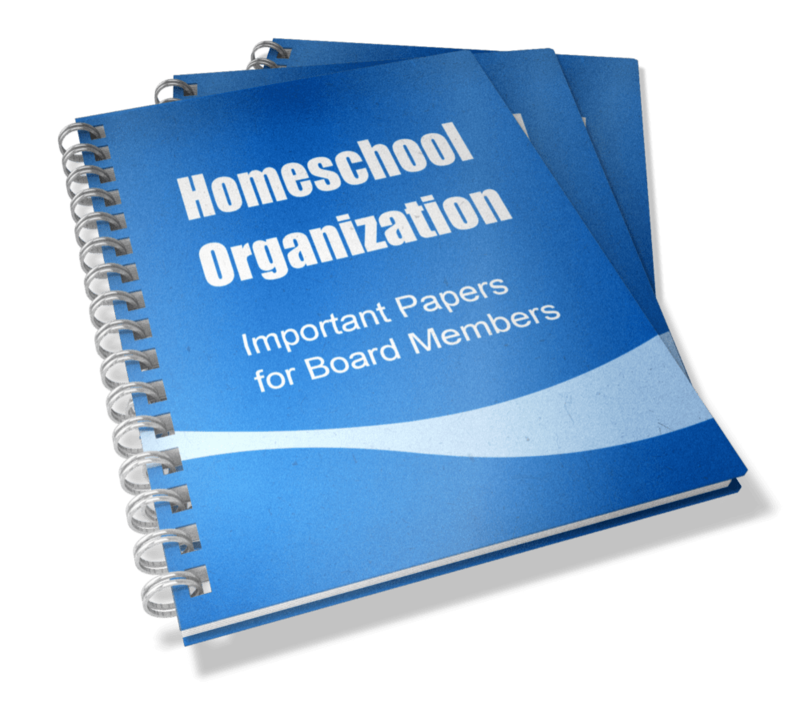 Read more about the Homeschool Organization Board Manual template. Is your homeschool organization a “mutual benefit” organization? Maybe not! Compensating board members can be troublesome!